Bull City Madness is more than just a basketball tournament – it’s a chance to celebrate a city that has changed basketball throughout the world. 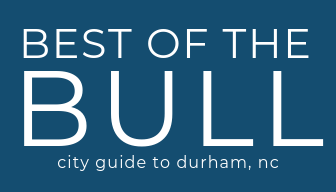 Come out to celebrate Durham’s rich history of basketball, bring the community together, and raise support for non-profits making an impact in Durham. It will be fun for players and spectators alike, with games, free food, and activities for kids! Register with your team of 4 before Wednesday, April 4th. The winning team gets $400 cash and $600 to a nonprofit of their choice. All teams get free meals, swag bags, T-Shirts, raffle tickets, and more! Interested in being a sponsor? There are many sponsorship levels and options for businesses, faith communities, community groups, and anyone who wants to support.